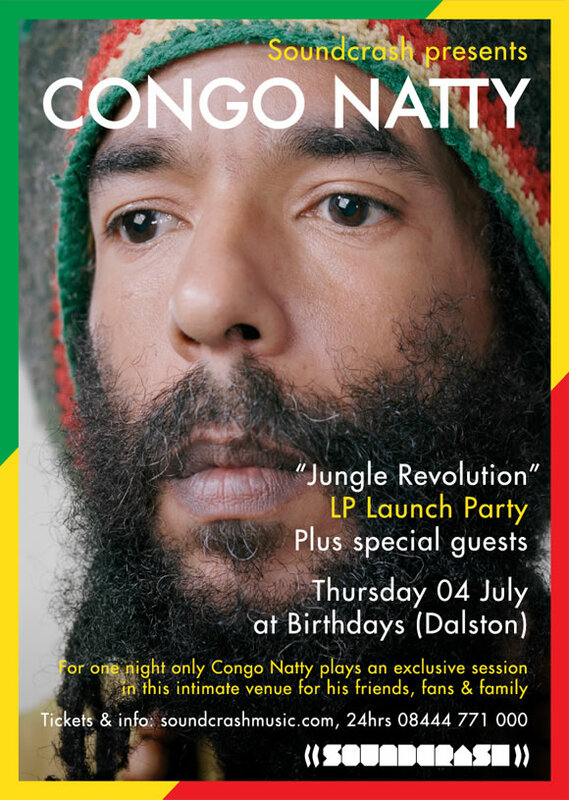 Soundcrash is proud to present the launch party for Congo Natty’s – aka Rebel MC – “Jungle Revolution” LP, celebrating the return of one of the most influential names in the underground UK music scene and a fundamental figure in the development of Jungle music. This will be a very intimate party for friends and family with only a few tickets put on general sale so don’t delay a second to book yourself one and see a legend up close and personal. Get your tickets below.